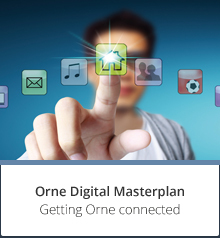 Orne has a truly exemplary digital policy, strongly committed to increasing opportunities for remote working to make this a driving force for economic growth and job creation in the area, while helping to protect the environment. As it actively promotes its ITC image and exceptional quality of life, Orne is aiming to do away with distances and boost the appeal and competitiveness of the area. For Alain Lambert, former Budget Minister and President of Orne Council, “remote working is the economy of the future. In the era of high-speed internet, Facebook and Twitter, our professional and personal lives overlap. The new generation of workers is permanently connected”. The Nom@des100 scheme was introduced by Orne Council in 2010 to support the creation of rural telecentres (public or private) across the area, and there are now resources for remote workers all over Orne. In addition, rural areas are being regenerated and access to employment facilitated for persons with reduced mobility. Orne currently boasts nine telecentres: Alençon (starTech61), Bellême, Boitron, Berd’huis, Bretoncelles, Commeaux, Flers and Vimoutiers. Two others are set to open in Alençon in the near future: the Espace Churchill (telecentre owned by the operator AZ Network) and at the Montfoulon university campus in Damigny, in the premises of the business incubator, INTECH. All in all, Orne will have around ten Nomades100″telecentres. 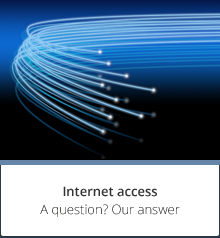 Offering high-speed or very high-speed internet connections, they will bring remote workers out of their isolation and provide them with high-performance tools and somewhere they can welcome clients. All these telecentres are open 24 hours a day, 7 days a week. They all have a number of furnished offices and a video conferencing room, which may be used by remote workers or by companies or structures looking to roll out remote training sessions. 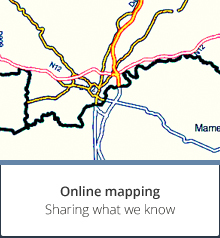 The remote working website – Le télétravail dans l’Orne – created by Orne Council working closely with Nomades100 project developers and Orne Développement, is a showcase for remote working in Orne. It helps users find telecentres, other remote workers and Wi-Fi hotspots. Events and training sessions are held regularly (e.g. the ThémaNet workshops with the Echangeur Basse Normandie, or co-working days at starTech61).